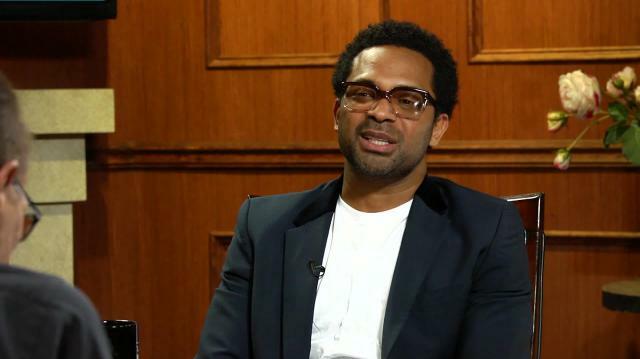 Mike Epps sits down with Larry for an in-depth interview where the actor and comedian tackles everything from Ferguson, “deflategate”, the Super Bowl Justin Bieber and his new role as Richard Pryor in Lee Daniels’ new biopic. On what That's Racist is about: "A lot of people think it's a show about racism. But it's not. It's not about racism. It's about stereotypes that all races have about each other." On his comedic approach to That's Racist: "I think it's funny to shed the light on things that we've always been curious about." On the Eric Garner police officer not being indicted: "I was upset about that... That was just blatant. You know, I mean, the whole thing- the whole time I just thinking to myself, 'Can we get one cop? Can we have one guy go to jail? I mean, at least one of them.'" On race still being an issue today: "As a black race, we've come so far, but haven't went nowhere, you know, in a lot of different ways." On being African American: “It's always been tough, being an African American in America, you know. As a comic, as a wealthy black person, as a poor person- all the way around the board. You're constantly reminded that you're black and you are different." On playing Richard Pryor in an upcoming role: "I'm so ecstatic about this, Larry. I'm so honored to even be considered or chosen to play the greatest of all time." "I feel well connected to him and I'm gonna trust and hope that he's gonna be with me in spirit as I represent him." On Richard Pryor's impact: "I think Richard Pryor was a- he was kind of like a- he was definitely the bridge and the liaison culturally for black people. He is hip-hop. I believe Richard Pryor started hip-hop. You know, because that's what hip-hop is, it's a rebellious form of music, and that's what Richard Pryor was. I mean, if you think about it, Richard Pryor was talking about what's happening right now with racism and police brutality." On Gary, Indiana being his favorite city to perform: "Because Gary, Indiana is like, the last place in the world that people will really go to, but it's got a lot of soul to it, man. That's where Michael Jackson's from!"